Fipt x fipt clear PVC from 1/2" to 2". 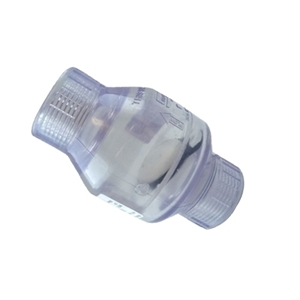 Fipt x fipt clear PVC 1/2"
Fipt x fipt clear PVC 3/4"
Fipt x fipt clear PVC 1"
Fipt x fipt clear PVC 1-1/4"
Fipt x fipt clear PVC 1-1/2"
Fipt x fipt clear PVC 2"
Grey teflon is designed for stainless steel fittings. 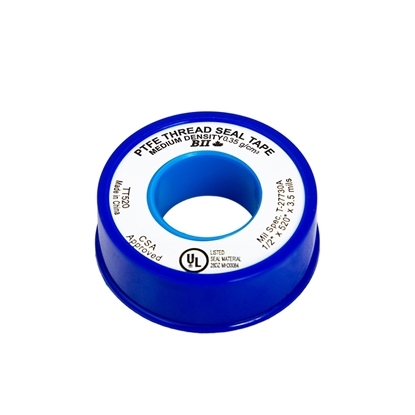 Teflon tape is designed to seal threaded fittings. 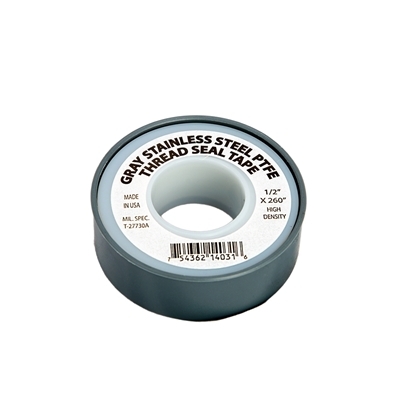 TEFLON TAPE BLUE MONSTER 1/2" X 1429"
Blue Monster Teflon tape is designed to seal threaded fittings. 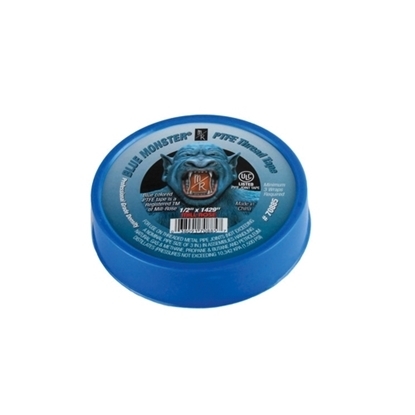 Compatible with stainless steel, galvanized steel, aluminum, PVC, iron, copper..
TEFLON TAPE BLUE MONSTER 3/4" X 1429"
Pink teflon is designed for plumbing.It's more resistant than white Teflon.